We are aiming to bring to your attention to injury prevention, pain relief and increased awareness of your health. We are all about offering you tips to improve your well-being and to keep your body working. Bowen Therapy is a part of this, but it’s mostly about you and what you can do. And because of that we are here for you. Professional Practice Using Bowen Therapy for 21 years. 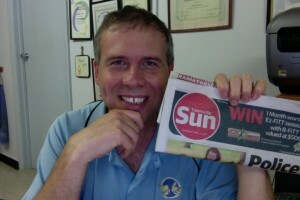 Columnist for the Sun Newspaper Townsville.